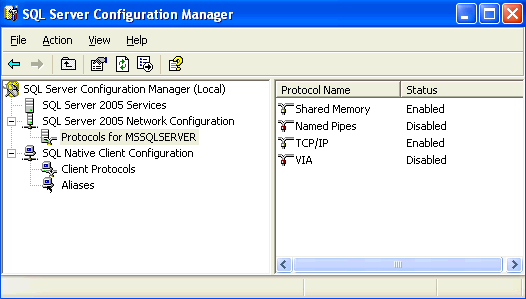 Make sure the server has Microsoft SQL Server 2005 or 2008 installed and running. 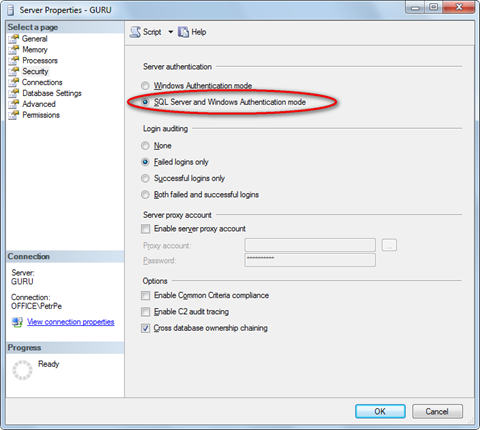 Make sure you are using the appropriate instance of the SQL Server in case you are using different instances of SQL Server. 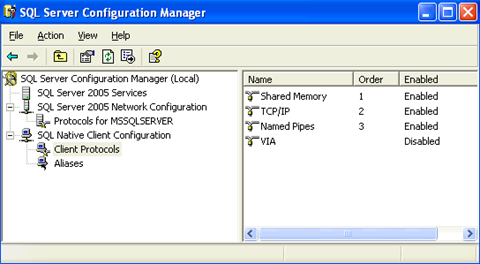 The instance name must be entered as myservermyinstance (please note there’s a backslash ). 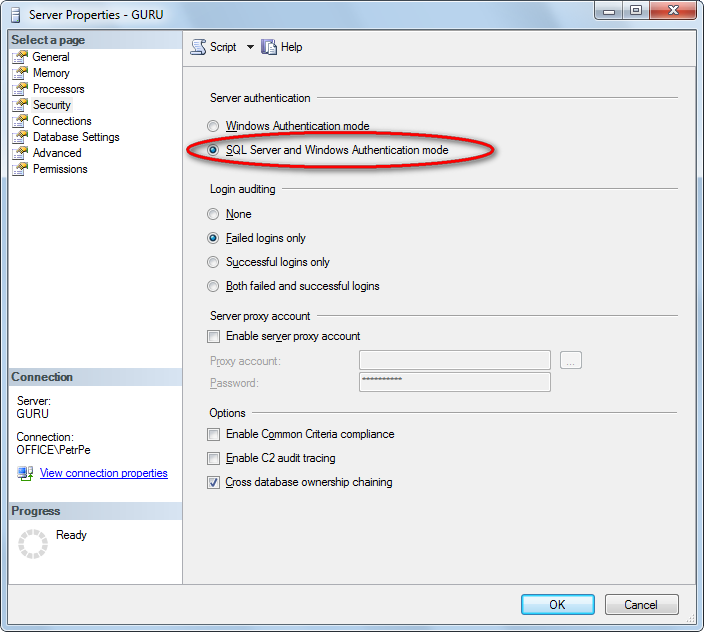 If you’re using Microsoft SQL Server Express 2005 with default installation settings, the correct server name is .sqlexpress or computernamesqlexpress . Make sure the access to the database server is not blocked by some firewall (the default port number for TCP/IP protocol is 1433). This account must have its own login with Windows authentication in the SQL Server. 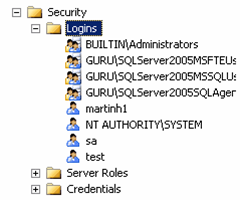 You can create the login in Enterprise ManagerSQL Server Management Studio -> Security -> Logins and grant appropriate permissions on the server to it. 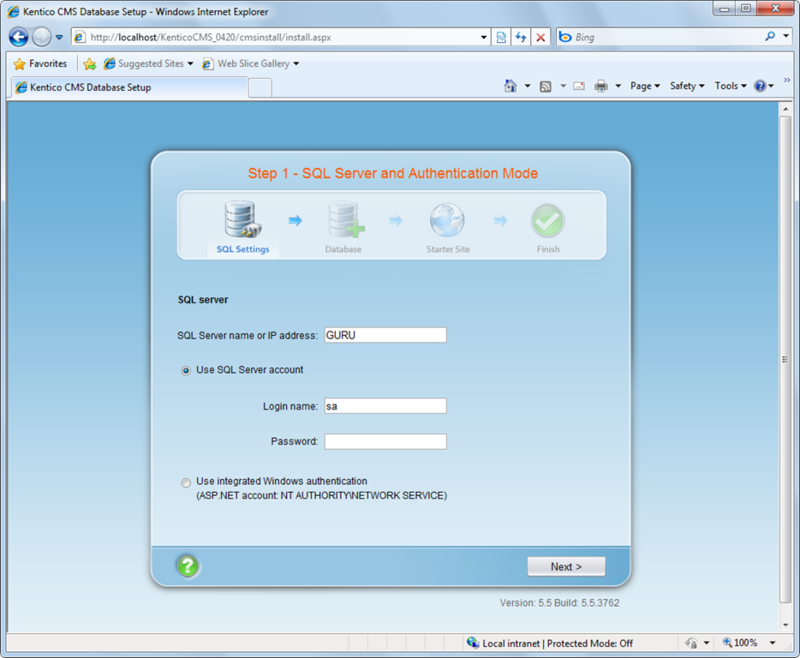 If you SQL Server is located on a different machine than your web server, you may need to configure your web application so that it runs under some domain account, rather than local account so that you can the login in the remote SQL Server.